A Financial Assessment of Municipal Fiber in the U.S. In the interest of bringing high-speed broadband access to communities underserved by current Internet service providers, many U.S. cities have initiated municipal broadband projects. Such efforts have received favorable attention from those eager to help close the digital divide. This brief presents a first look at a new, comprehensive empirical analysis of 20 U.S. municipal fiber builds for which financial data is available. The findings show that half of the projects in this study are cash-flow negative, and based on their performance from 2010-2014, 90 percent are unable to generate sufficient cash to recover their project costs within the 30-40 year life expectancy of a municipal fiber build. 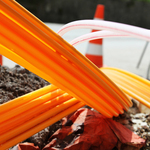 City leaders considering such projects, as well as state and federal officials interested in supporting them, need to understand the documented costs and risks before encouraging new municipal fiber programs to form. Yoo, Christopher S. and Pfenninger, Timothy, "A Financial Assessment of Municipal Fiber in the U.S." (2017). Penn Wharton Public Policy Initiative. 45.